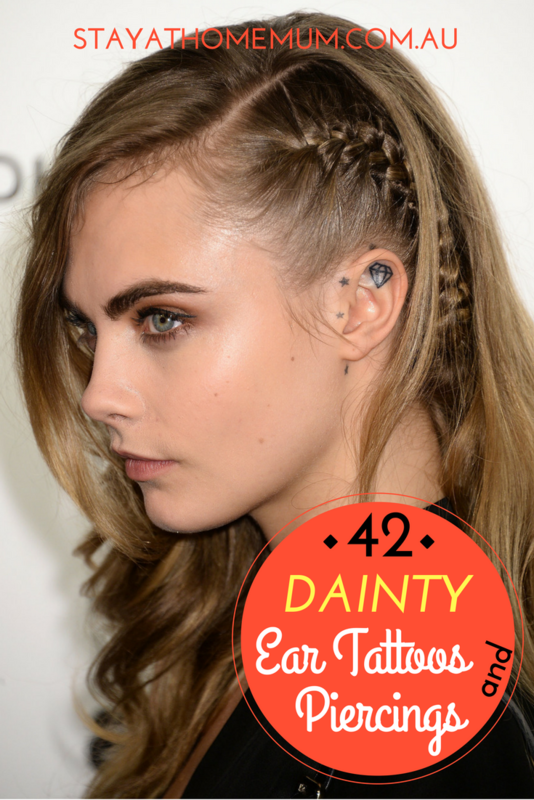 42 Dainty Ear Tattoos and Piercings for WomenYou can hide them, or show them off! 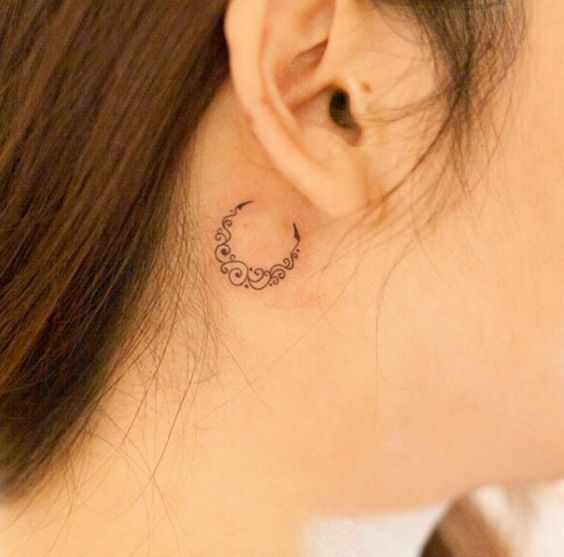 I do love a good tattoo (or three), and although I’m not personally into piercings, they are a great way to express yourself without the ‘permanence’ of ink. 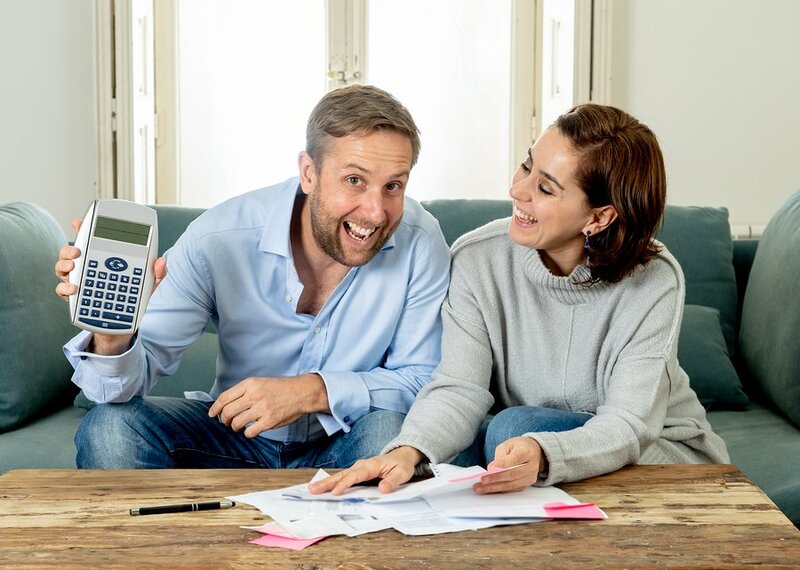 These days, most of us mums have one or the other – or both! Nothing against the clean-skin non-pierced mums and all. If you aren’t ready to go the whole-hog, maybe a tiny one is a good way to start. 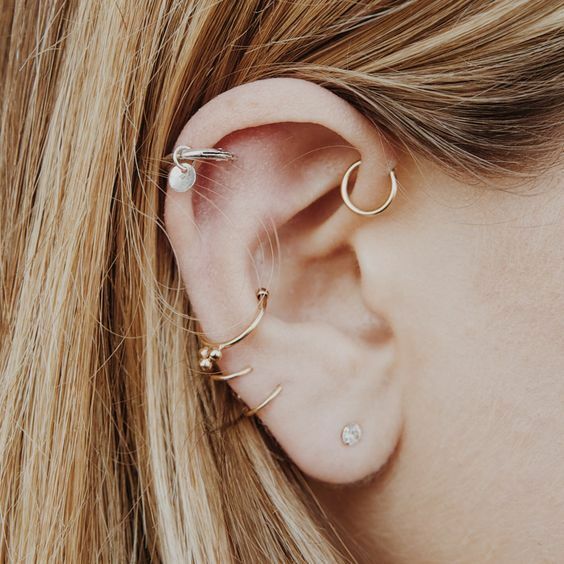 These cute little ear tattoos and piercings are cute as a button – and easy to hide! 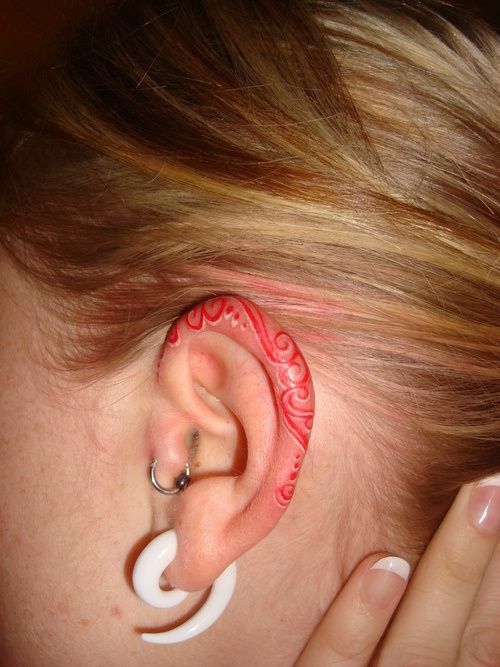 Behind the ear tattoos are just adorable. And you can get all girly with them too. 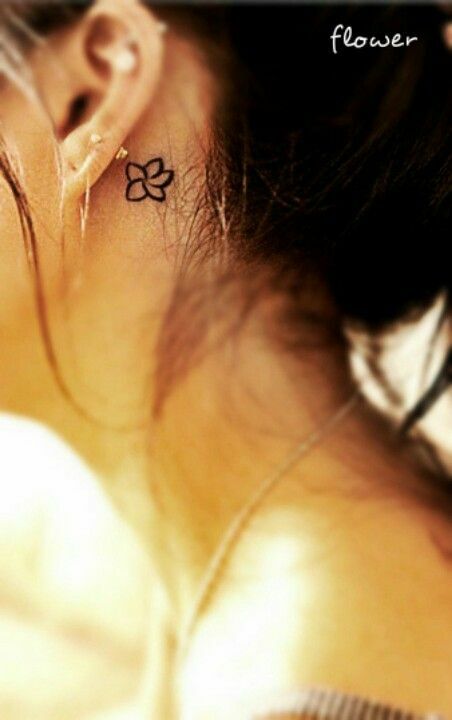 I adore this little dandelion-like tattoo behind the ear. No one need ever know it is there. You can pour your heart out on this one. 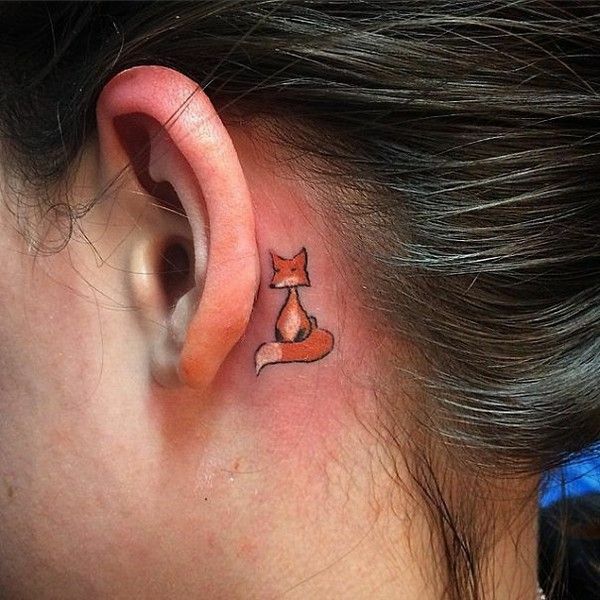 …Or this one, if you’re a fox lover. 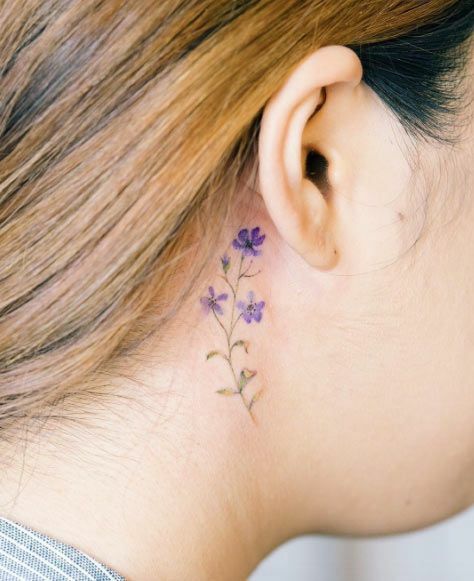 Get all dainty with this five-leaf flower. 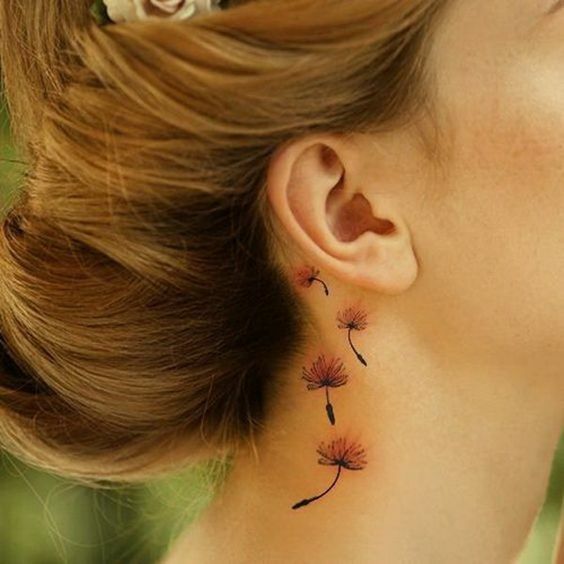 Be amazed with this purple dandelion tattoo. 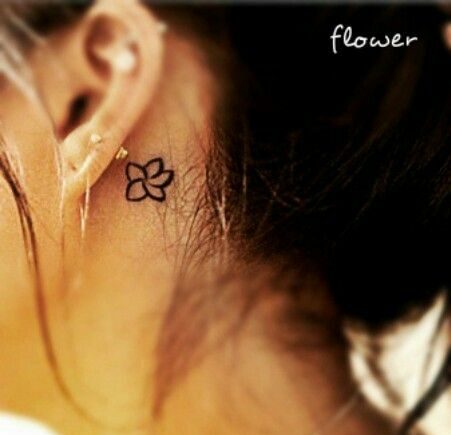 Get seductive with this falling flower tattoo. 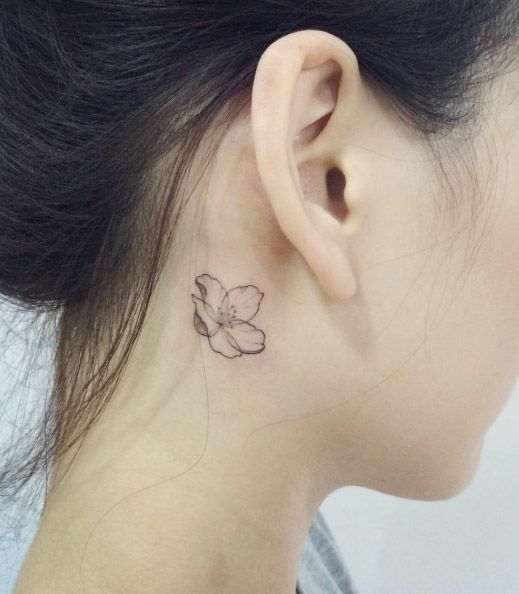 This outline of a gumamela flower is so neat. 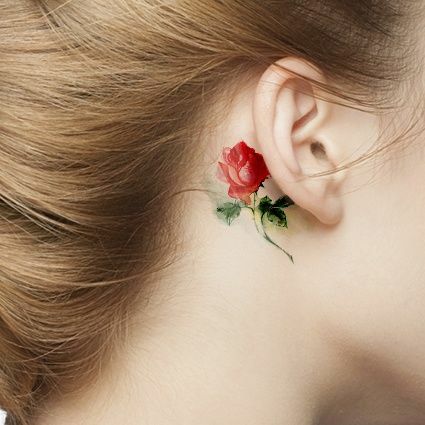 Be in love with this watercolour rose tattoo. 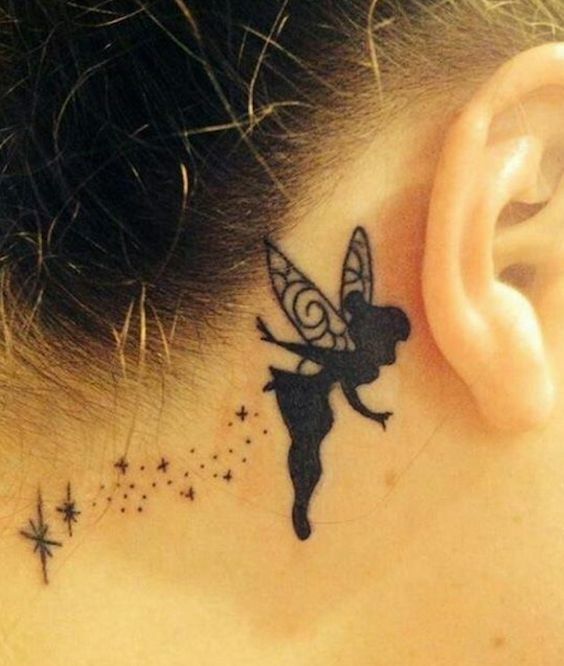 Perhaps no character is more magical and cute than Tinkerbell. 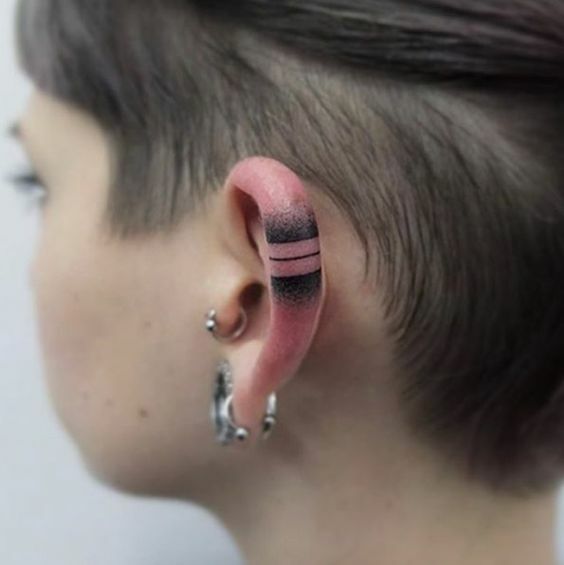 If you want it subtle that people can see with just tucking your hair behind your ear, you can try these awesome on-the-ear tattoos, like this one. 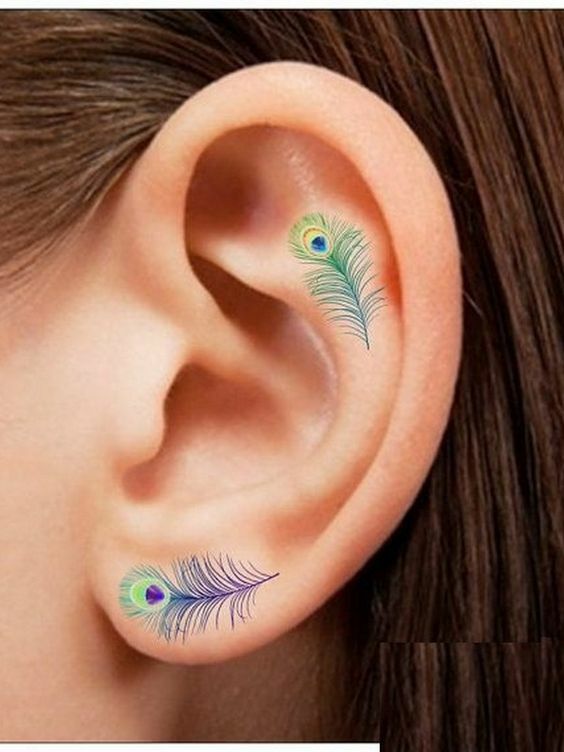 …Or this colourful peacock feather tattoo. Simply engrave the word LOVE and that’s it! 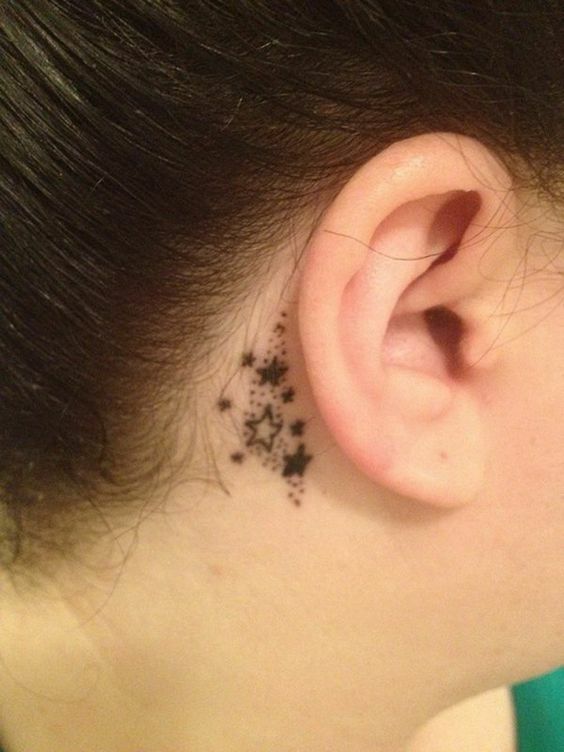 Anybody can be a rock star with this back ear tattoo. 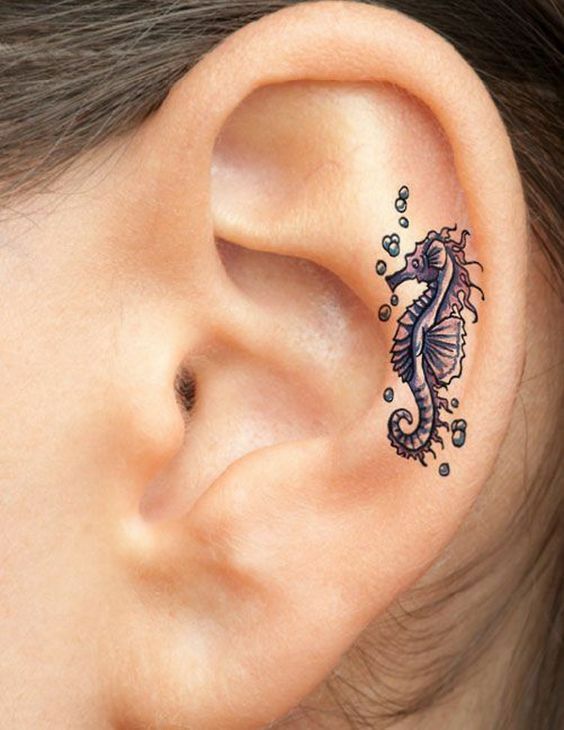 Express your love for the sea with this seahorse tattoo. 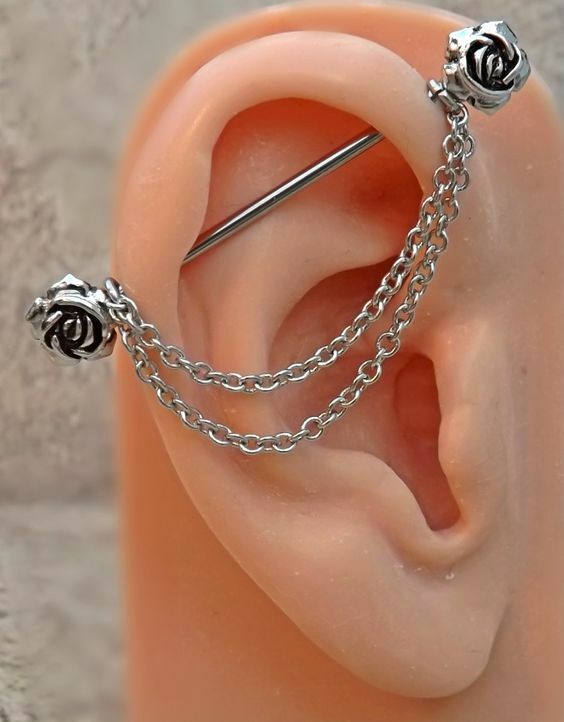 If you’re not a tattoo lover but you want that umph to your look, you can try these unusual but definitely awesome piercing combinations like this rose-designed double piercing with chains. 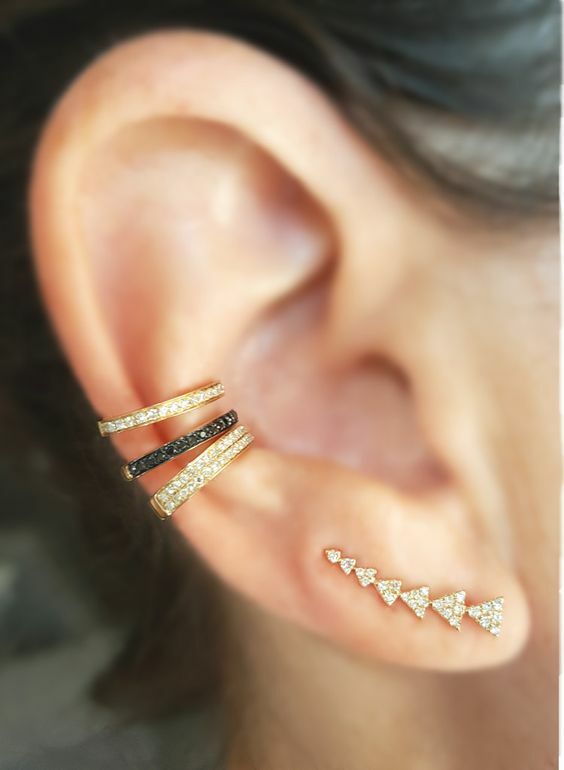 Be a rock star but still dainty with this lovely piercings. 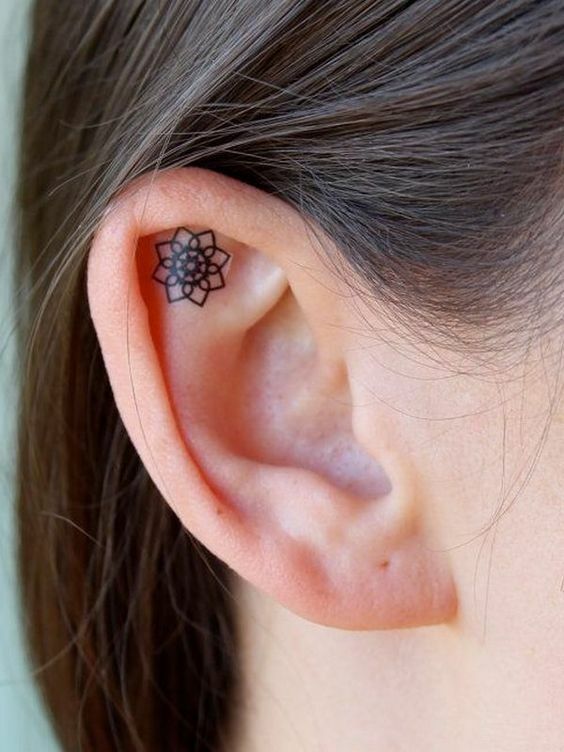 Make a mark with these unique and beautiful combination of tattoos and piercings just like this patterned tattoo and punctuation mark ear piercing, all in one! 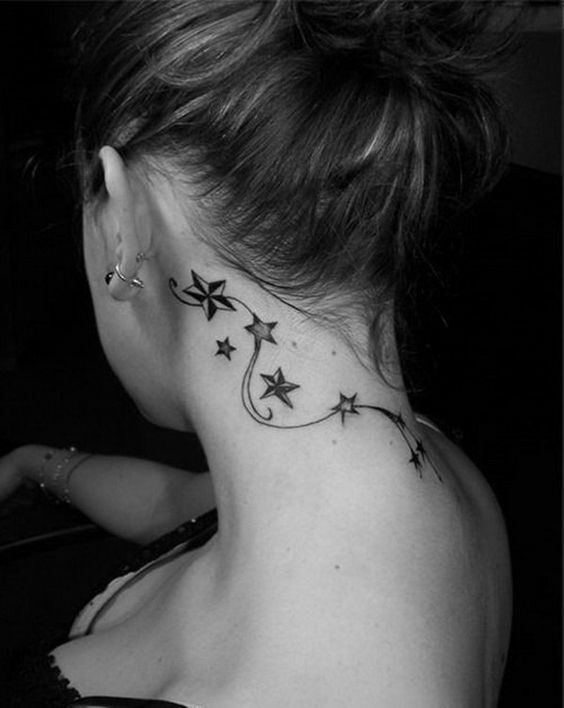 Look like a star and claim it with this lovely tattoo and piercing combination! 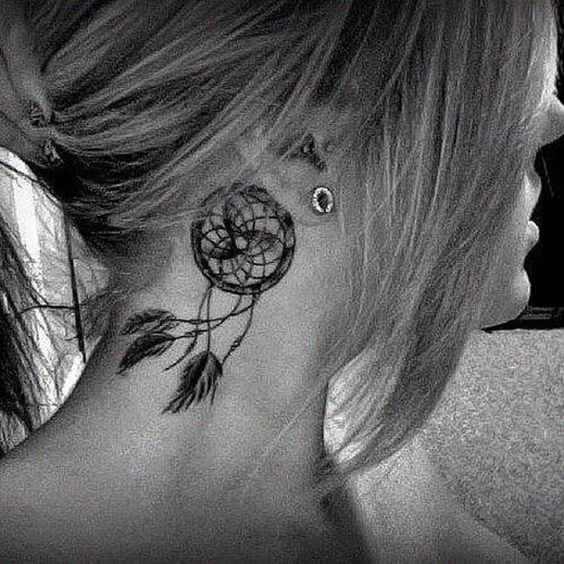 Look adorably legendary with this dream catcher tattoo with matching stud earrings. 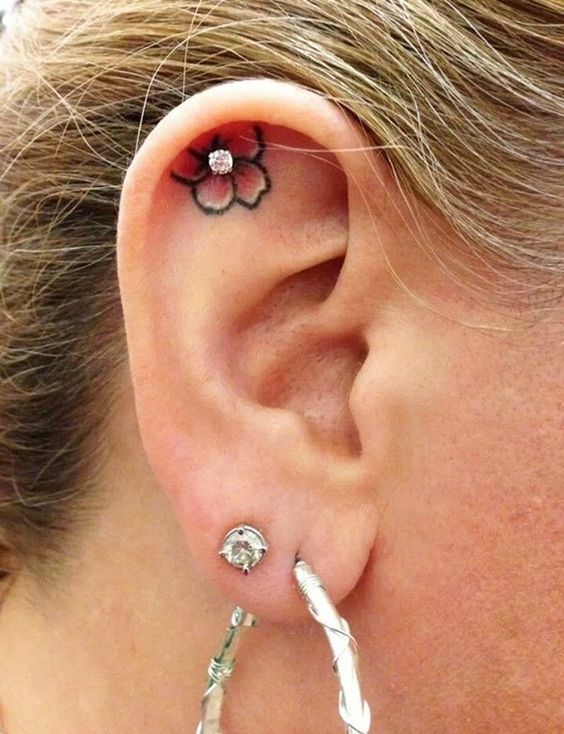 This is a cute combination of a flower tattoo and a lovely stud earring. 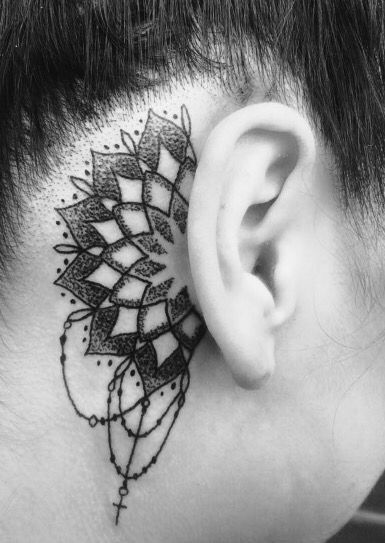 Captivate someone with this amazing mandala tattoo with a cross. 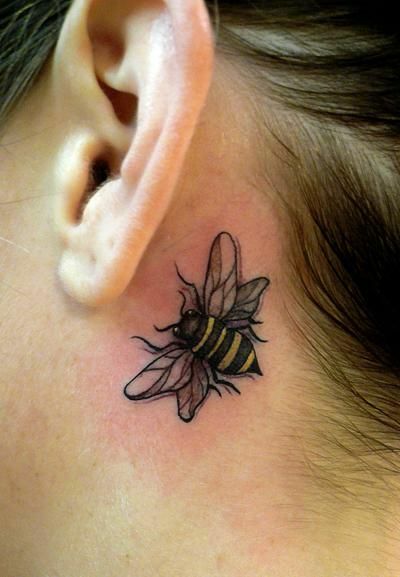 How about a life-like bee? Awesome! Peek-a-boo! 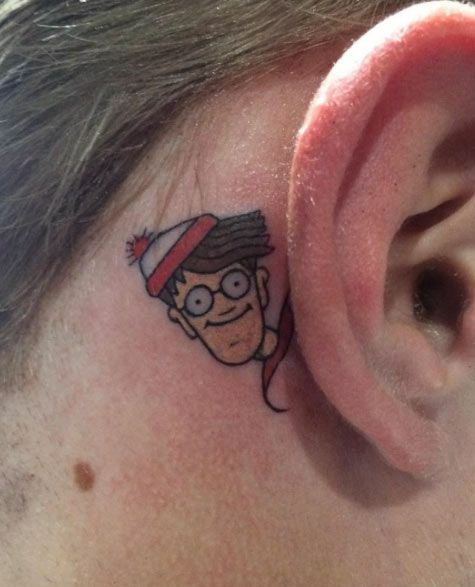 Wait, what’s this funny-looking guy doing behind your ear? 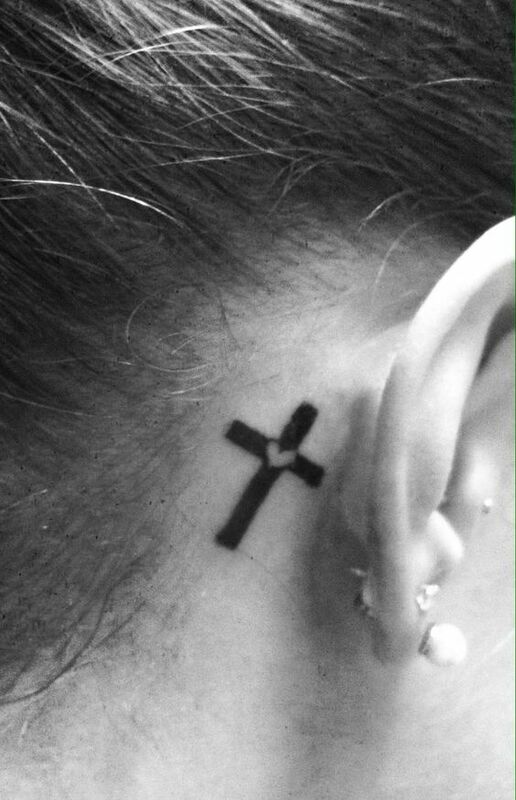 Adele’s classy letter ‘A’ tattoo behind her ear was dedicated to her son, named Angelo. 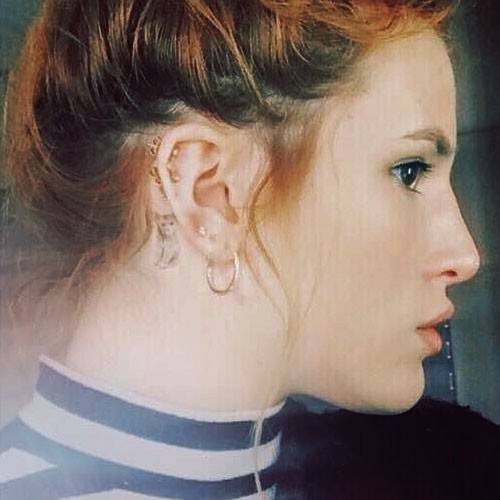 Being a cat lover, Bella Thorne tattoed a small grayscale cat behind her ear, done in a delicate single-needle style by artist Dr Woo. 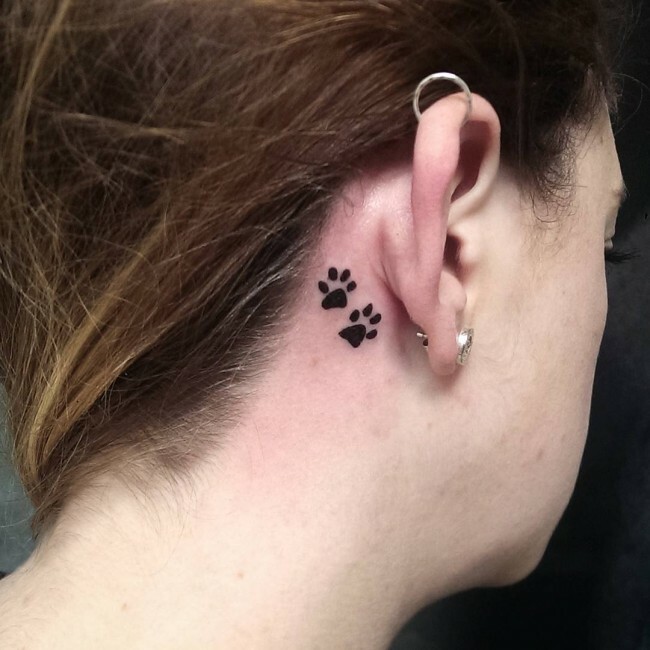 This was her first tattoo done in December 2015. Ashley Greene from the Twilight Series has a heart-topped key behind her ear. 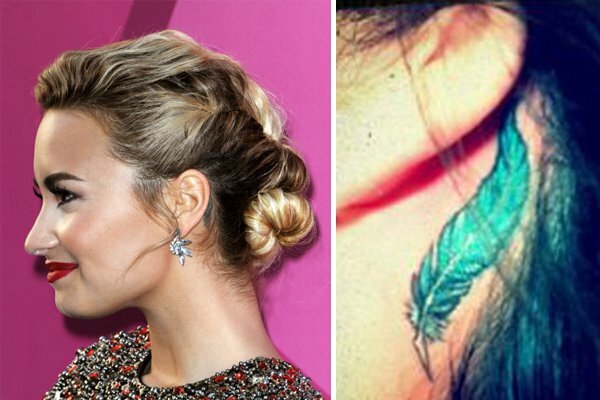 Demi Lovato got this turquoise feather tattoo behind her ear in June 2010 just for fun! Who would’ve thought something done for fun would be this gorgeous? Paramore’s Hayley Williams got herself a cloud tattoo behind her left ear to commemorate the huge storm that happened right before Paramore performed at the Cleveland Warped Tour 2009 show. The tattoo is a cloud and lightning bolt with “Warped!” written above it as a reminder of that experience. 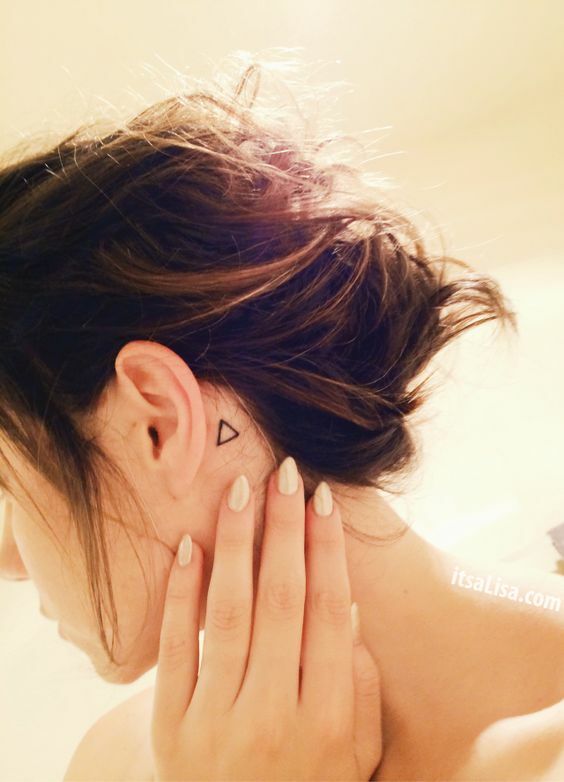 Being a Sagittarius, Rita Ora got a tattoo of her astrological sun sign — a small crossbow (a bow and an arrow) inked behind her right ear. Jessie J’s love for music can be seen on her left ear — an upside down treble clef and a bass clef which together form a heart. 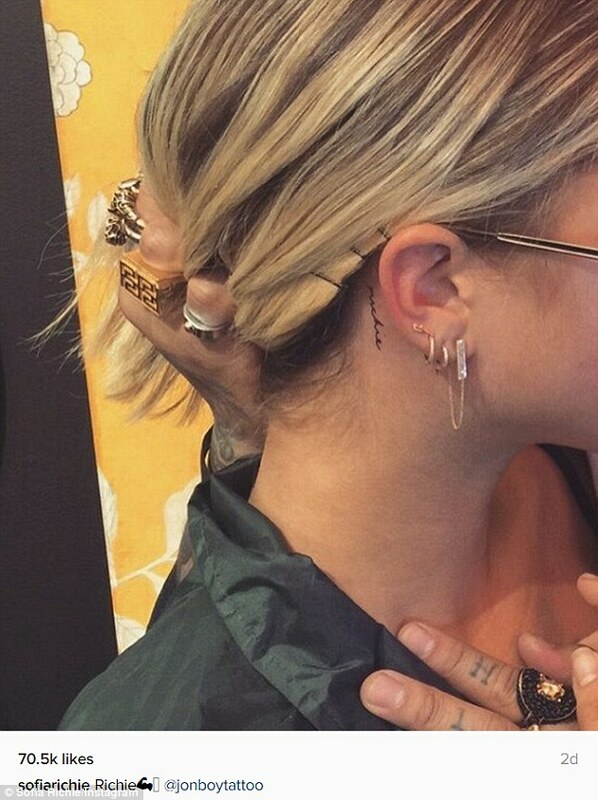 Sofia Richie had her last name tattooed in script behind her right ear around her 18th birthday. 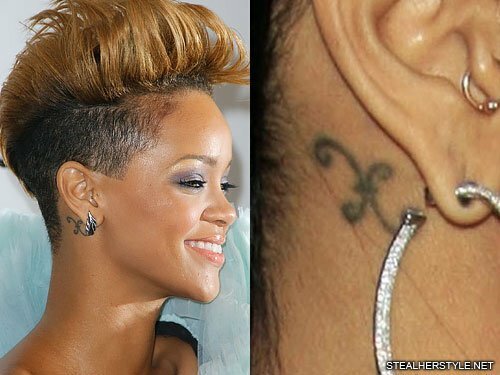 A Piscean, one of Rihanna’s first tattoos is a Pisces sign behind her right ear. It was done in 2006 by a famous Brazilian artist. 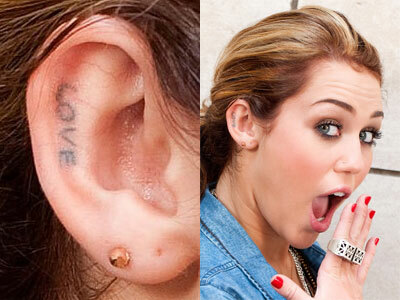 This is Miley Cyrus’ second tattoo — the word “LOVE” tattooed on the inside of her right ear. 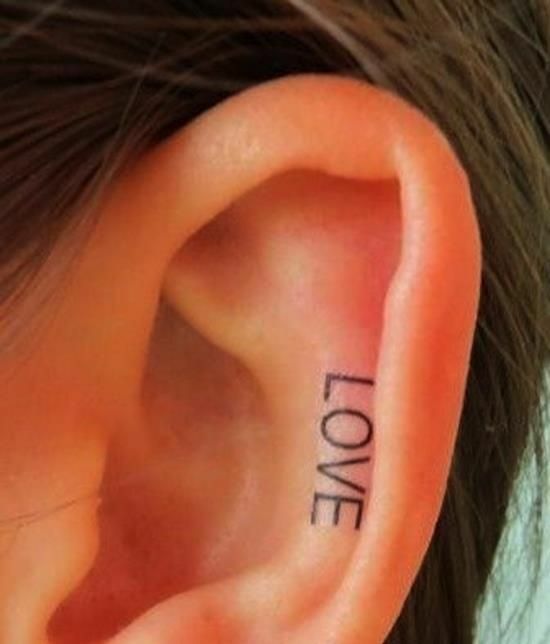 The tattoo and its placement on her ear signifies drowning out negative messages and only hearing the positive things. 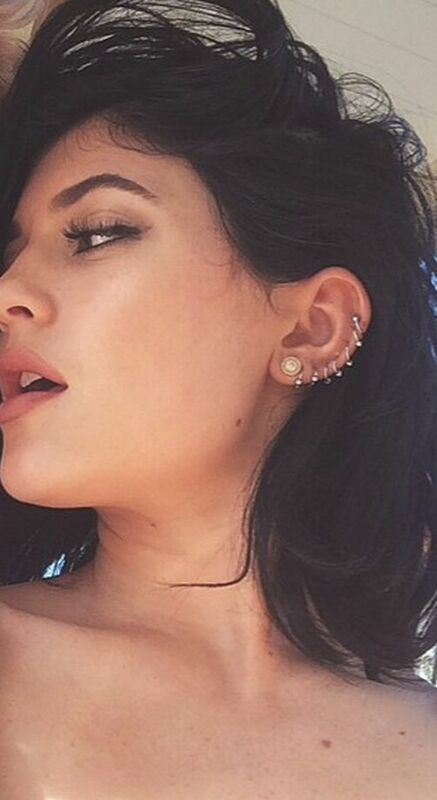 Kylie Jenner has hoop earrings all along the outside of her ear. 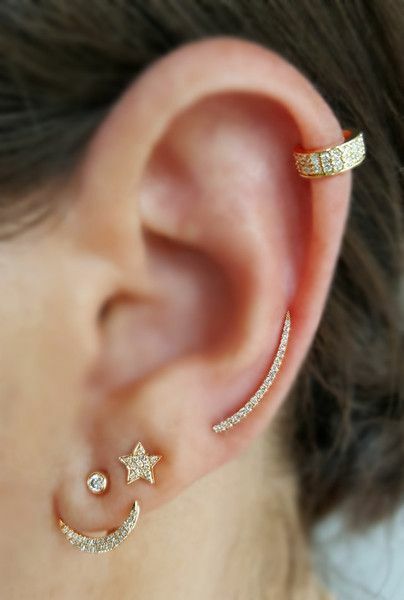 She has eight piercings on her left ear going from her cartilage down to her lobe. Emma Watson had to wait until she was 15 before she got her ear pierced. 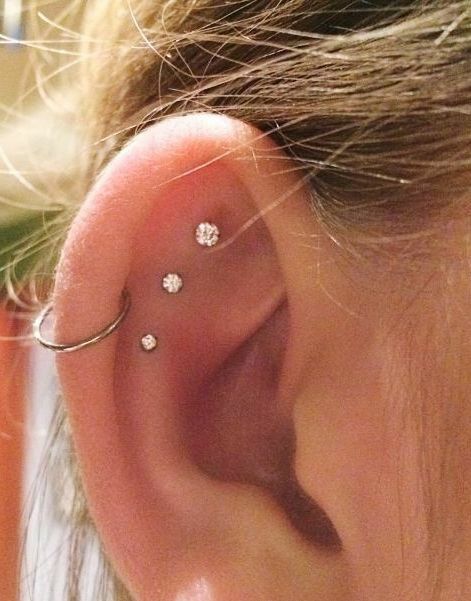 Are you now thinking of getting an ear tattoo or piercing?